Look what's back from the long-arm quilter, has its binding attached and is ready for a quick cycle through the washer/dryer? 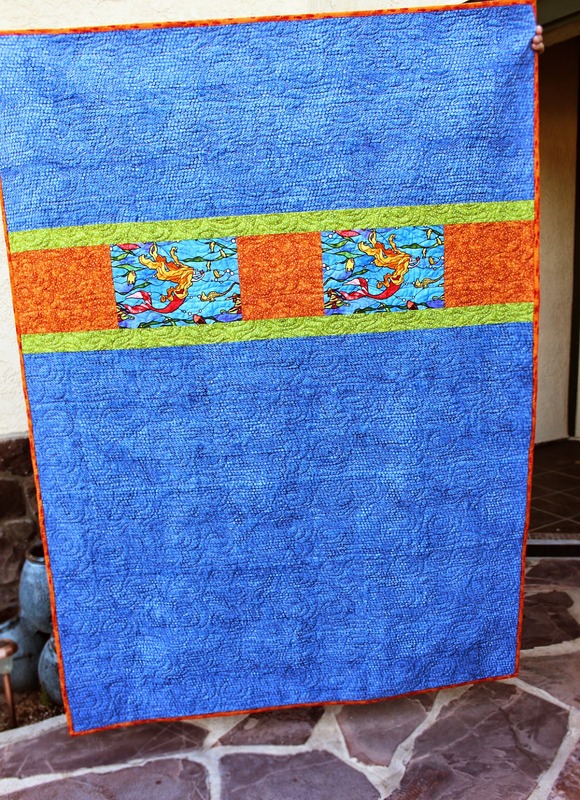 Can I just say how much I love this quilt? It makes me happy every time I look at it. Silly, I know, but to me it's just perfect. I'd originally planned to bind this with the same orange dot fabric as the front blocks, but . . . I ran out and when I went to buy more (a year later) it was long gone from the store. So, I bought little fishies instead. Aren't they cute? And because fish don't always go with the flow, I arranged it so one group is swimming against the tide. 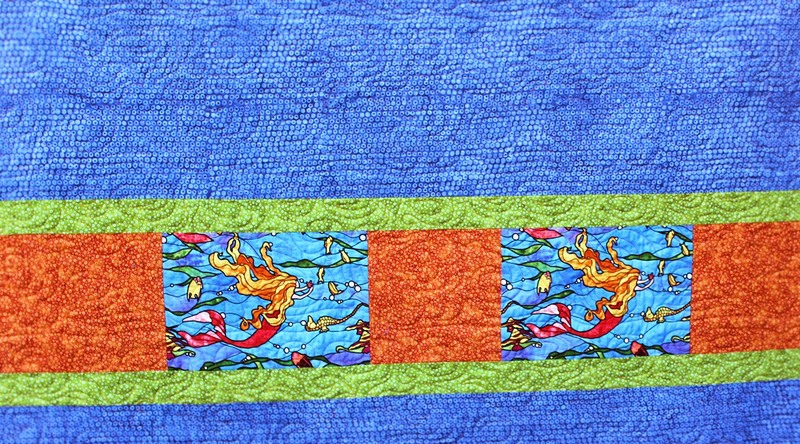 Probably nobody but me would ever notice, but it's just one more thing about this quilt that makes me smile. 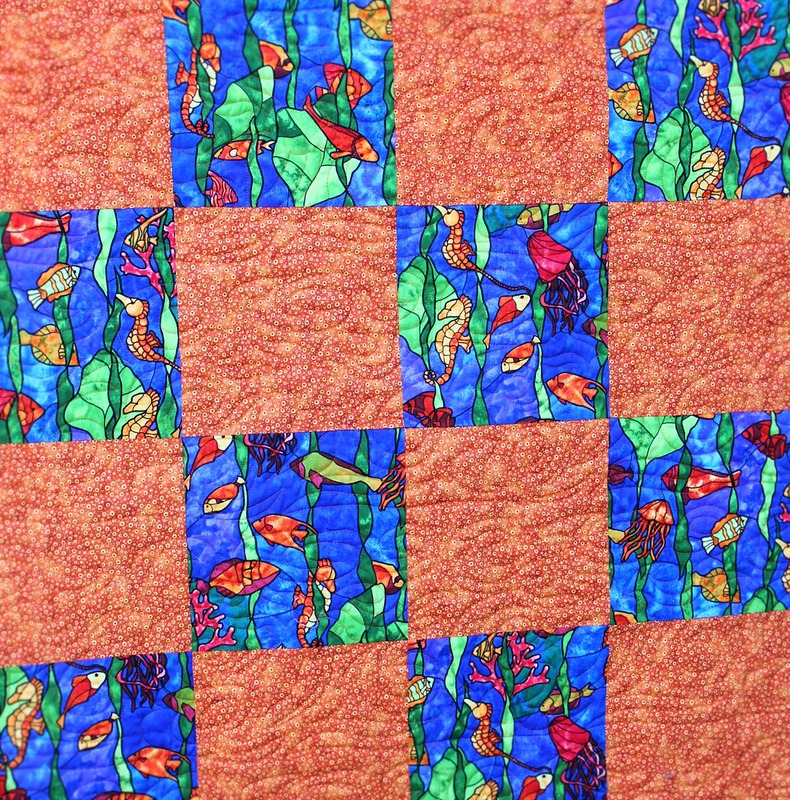 The quilting is a fish/waves design done in orange thread. This is my May Twelve in Fourteen project. Since we were on vacation for two weeks out of the month, I wanted a small, doable UFO to complete. 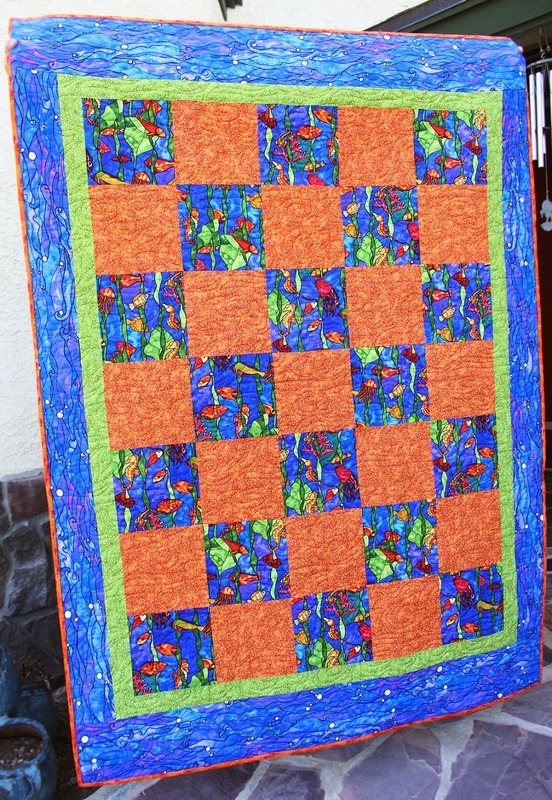 This came back from the my long-arm quilter just in time!